At Network Health, we know you have many choices when it comes to health insurance. You probably have a lot of questions, too. Selecting health insurance can be overwhelming. We’re here to walk you through your options and help you choose the health insurance plan that is right for you. For more than 35 years, Network Health has offered health insurance that puts members first. We provide high quality plan options and we’re here to help choose the right plan for you and your family. Our individual and family plans are available on the health insurance exchange (known as the Marketplace) and outside of the Marketplace. Open enrollment begins November 1 and ends on December 15. If you miss open enrollment, you can only change plans or enroll under a qualifying life event. Call our local customer service team at 855-275-1400, Monday, Wednesday, Thursday and Friday from 8 a.m. to 5 p.m and Tuesday from 8 a.m. to 4 p.m.
For details about nondiscrimination or getting assistance in another language, view this multi-language and nondiscrimination document. It’s a good idea to have health insurance because it helps protect you and your family financially in the event of an unexpected illness or injury. Medical care can be expensive and if you don’t have health insurance, you may easily find yourself crippled with medical debt. One emergency surgery can cost you thousands of dollars in medical bills. If complications arise during surgery, costs can add up quickly. Signing up for a Network Health Prestige plan can give you peace of mind knowing you're protecting your health and your wallet. Our insurance coverage allows you focus on life and avoid financial stress. A subsidy is financial assistance provided by the government to help people afford health insurance. Premium Tax Credit – This is the amount of money provided by the government that goes toward your health insurance premium. It can help make your monthly payment lower. You can choose to apply the entire amount toward your premium each month (called Advanced Premium Tax Credit, or APTC), or wait until the end of the year and get the money back at tax time. You may qualify for this credit if you purchase a plan on the Marketplace and have an income below a certain level. The government pays a portion of your health insurance directly to your insurance company every month. When you purchase your health plan, make sure you check to see if you qualify for a subsidy. To get a subsidy, you must enroll in a plan that’s on the Marketplace. Did you estimate your income correctly? If you end up making more money than you estimated on your Marketplace application, you could wind up having to pay back some or all the tax credit you received. This payment will be due with your next tax return. If you end up making less money than you estimated on your Marketplace application, you could qualify for a higher tax credit. This money would be refunded with your next tax return. To avoid owing money at tax time or to receive a larger refund, you'll want to make sure to report any income changes to the Marketplace during your coverage year. What happens during tax season? You must file a federal income tax return the year after you receive coverage through the Marketplace. If you're married at the end of the coverage year, you must file jointly with a spouse. You can’t be claimed as a dependent on another person’s tax return for the coverage year. You must claim a personal exemption deduction on the coverage year federal income tax return for any dependent listed on your application whose premium is paid with a tax credit. Learn more about the tax credit from the Internal Revenue Service. Who is eligible for subsidies? Eligibility is determined by factors such as your income, family size and where you live. When you get a quote for coverage, we will take you to HealthCare.gov to get your subsidy verified. The Marketplace (also known as the health insurance exchange) is a website for those who want to shop, compare and enroll in individual and family health plans. Network Health Prestige plans are available on the Marketplace. These plans are separated into three categories for different coverage levels: Bronze, Silver and Gold. Each category is based on the plan’s monthly cost, benefit level and amount you’ll pay over time. Your agent can help you determine which category is a good fit and help you enroll. If you don’t have an agent, call us at 844-635-1322 and we can help. Do Affordable Care Act (ACA) health plans require preventive care? Group, individual and self-insured health plans sold on or after September 23, 2010, must cover specified preventive services when provided by in-network doctors and facilities. View a detailed list of ACA preventive care services for adults. View a detailed list of ACA preventive care services for women. Immunization vaccines for children from birth to age 18 —doses, recommended ages, and recommended populations vary. View a detailed list of ACA preventive care services for children. Specific preventive services are covered without a copayment or coinsurance when services are provided by an in-network doctor or facility. That means you pay $0. This includes flu shots, blood pressure screenings, mammogram screenings and many more services that can help with early detection and prevention of illness. Below is a list of preventive services; you can find a complete list of these services at HealthCare.gov by searching for preventive care. For individuals and families, open enrollment begins on November 1, 2018 and ends on December 15, 2018. If you miss open enrollment, you may still be able to enroll under a qualifying life event. Special circumstances (called qualifying events) allow you to enroll in a health insurance plan outside of the open enrollment period. A Special Enrollment Period may be available to you if one or more of the following applies. For a complete list of qualifying events, go to HealthCare.gov and search qualifying life event. Premium – The monthly payment you make for your health plan. Copayment – A set fee you might pay for a type of health care or a prescription drug. For example, your copayment for a doctor visit could be $20. Once your deductible is met, Network Health pays the rest. Coinsurance – A set percentage you might pay for a type of health care or a prescription drug. For example, 10 percent coinsurance means you pay 10 percent of the cost. Network Health pays the rest. Network Health is more than your typical health plan; we pride ourselves on providing exceptional one-on-one service. Our goal is to help you live a healthier life while reducing health care costs. Co-owned by Froedtert Health and Ministry Health Care, a part of Ascension Wisconsin, we understand the importance of quality health care, and we believe it should be convenient. When you call Network Health, you won’t be overwhelmed by health insurance language. We talk like people, not insurance dictionaries. We're not a nationwide health plan, and we like it that way. 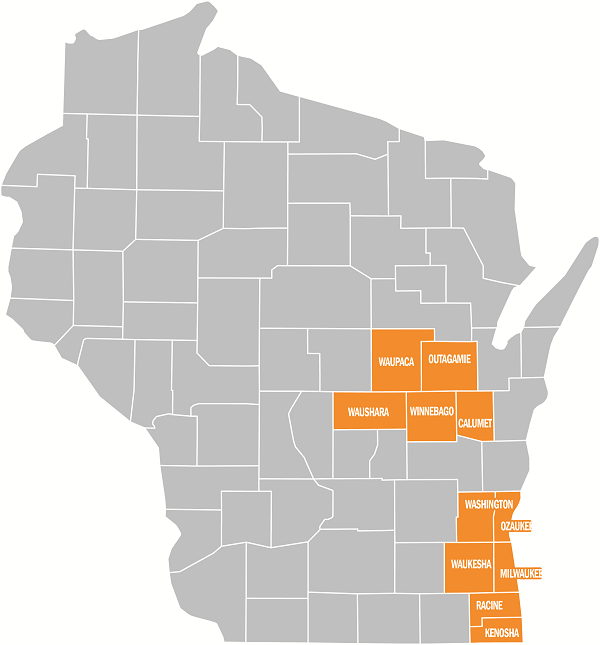 We're a locally owned, Wisconsin-based company and we live and work in the communities we serve. Our plans give you access to health care professionals who can quickly answer your questions and connect you with programs to better your health. If you have a health condition, our nurse care managers can work with you to develop a customized care plan. They can help coordinate care with doctors, explain medical instructions, provide care guidance and more.